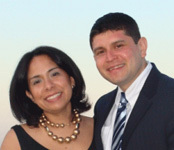 Maid to Perfection of Danbury was started by Oscar and Veronica Guevara in 2005. Over the years, Maid to Perfection has grown and developed steadily through their employees' integrity and customer loyalty. Maid to Perfection of Danbury is a family owned and operated business, servicing Danbury, Bethel, Brookfield, Ridgefield, New Fairfield, Sherman, Redding, New Milford, Bridgewater, Wilton, Newtown, and Monroe; Also servicing, in New York: North Salem, South Salem, Carmel, and Brewster. The Maid to Perfection® corporate office is based in St. Cloud, Florida. The company began in 1980 as an unincorporated business under the name Midy Tidy, and incorporated in 1983. In 1990 Midy Tidy merged to form Maid to Perfection®, and began franchising under that name. The 35 years of experience that Maid to Perfection Global, Inc. has acquired has been passed along to Maid to Perfection of Danbury to ensure that our customers get the best possible service!